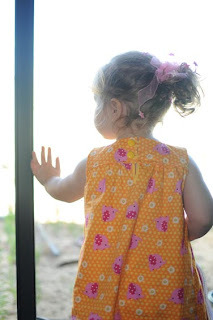 I finally finished E's orange dress which I had cut out months ago. Good thing it was still the right size. I'm quite pleased with how it turned out and E seems to like it, too. While in a sewing mood, I also made her another t-shirt from one of hubby's old work shirts. 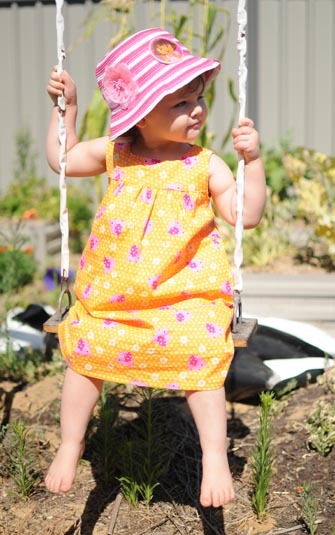 The pattern is "Imke" from "Sewing Clothes Kids Love" by N. J. S. Langdon & S. Pollehn. 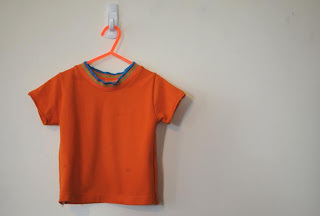 I've used this pattern before and it's a nice, simple t-shirt design. So far I prefer the basic t-shirt (this is actually the 'boys' style) to any of the variations I've tried, although I am yet to try making one with a hood. 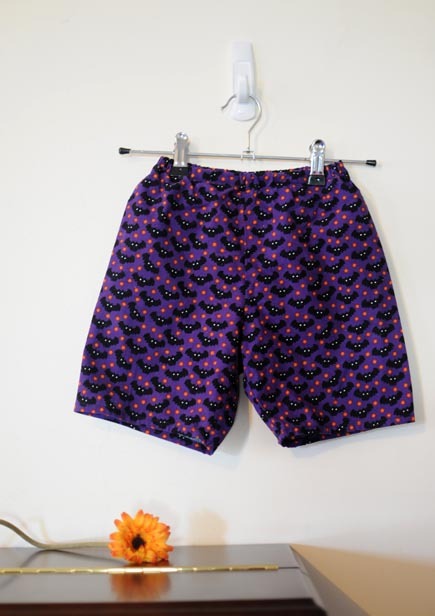 Also recently, I finished these shorts for E. They're made from a cute fabric covered in little black bats and orange stars. The pattern for these is from "Girls Style Book" by Yoshiko Tsukiori (pattern K). E is never short of clothes to wear, but it always makes me smile when she chooses to wear the things I've made for her. Aww look at E's curly hair, so cute! The clothes are gorgeous! !